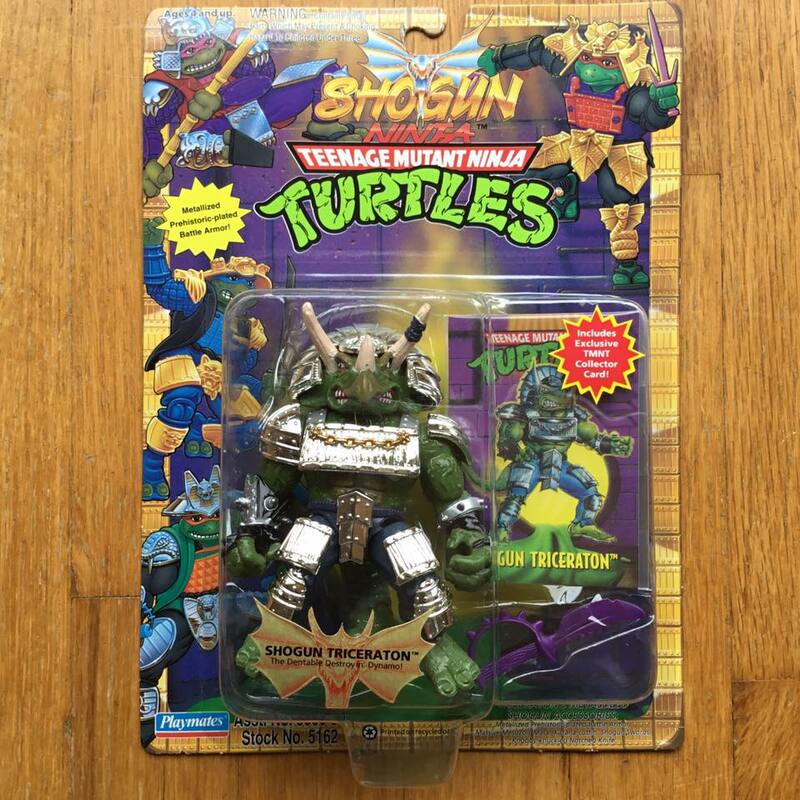 I have compiled a checklist of sorts displaying rarity and desirability regarding the Teenage Mutant Ninja Turtles (TMNT) action figures line-up spanning from 1988-1997. The manufacturers are Playmates for the US releasees and Bandai or Takara for the Japan releases. 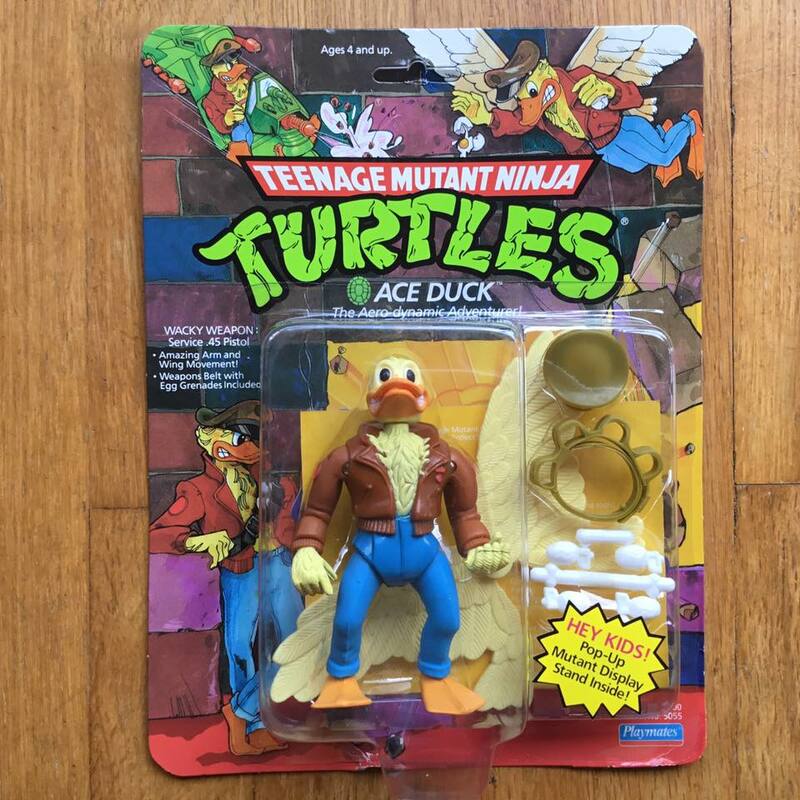 Mirage Studios licensed the creative properties to the toy manufacturers and sometimes paid for their own releases to be made by Playmates as well. 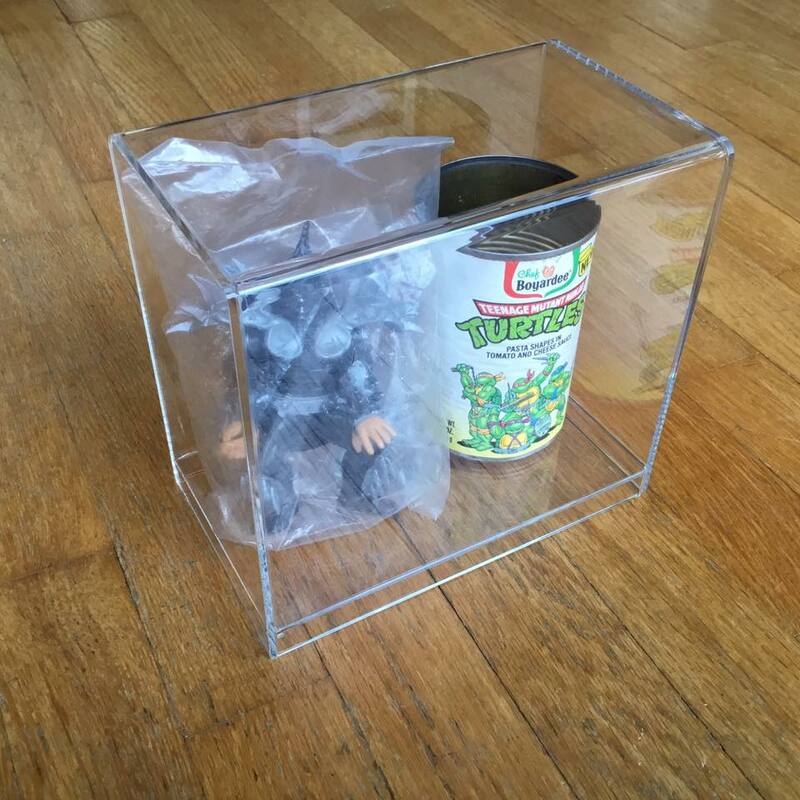 Use this list as a guide to visibly display what's hot and what's not in the Ninja Turtle collector world. Most links will turn up with zero results, so you will need to click on "completed" or "sold" to use as a basis for rarity and availiability. You may need to loosen some search phrases as well. For instance, change "tmnt 1994 mutant military combo turtle copter cycle" and shorten it down to simply, "tmnt mutant military combo copter". 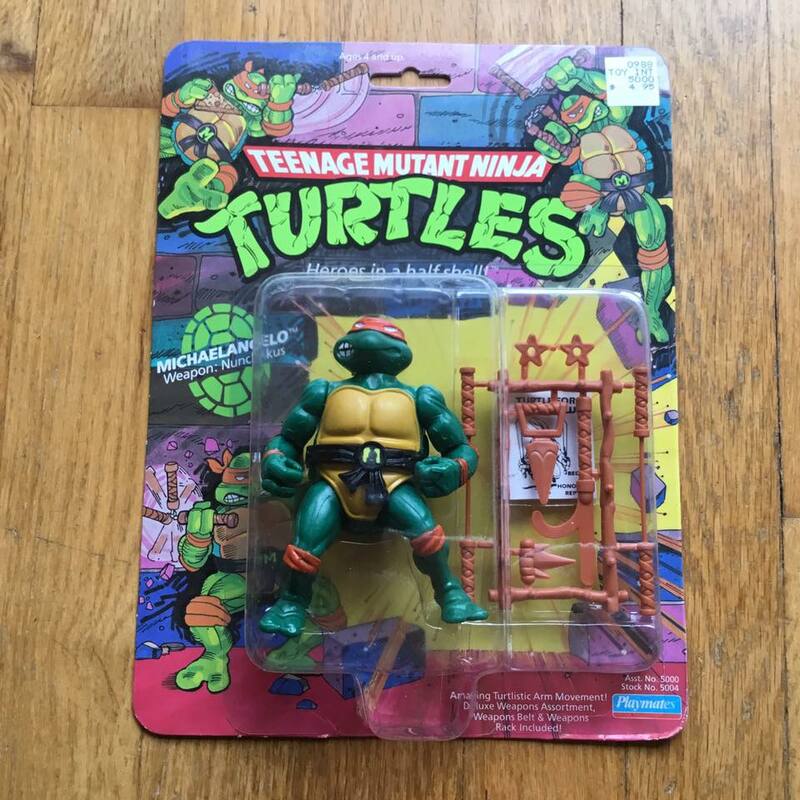 I have also compiled a guide for the most desireable Teenage Mutant Ninja Turtle Action figures here at this most valuable TMNT action figure price guide. Loose figures are $5 $10 $20 $50-$350 ea. Punched carded figures are $20 $40 $75 $100-$1000 ea. Unpunched carded figures are $30 $60 $100 $150-$1450 ea. 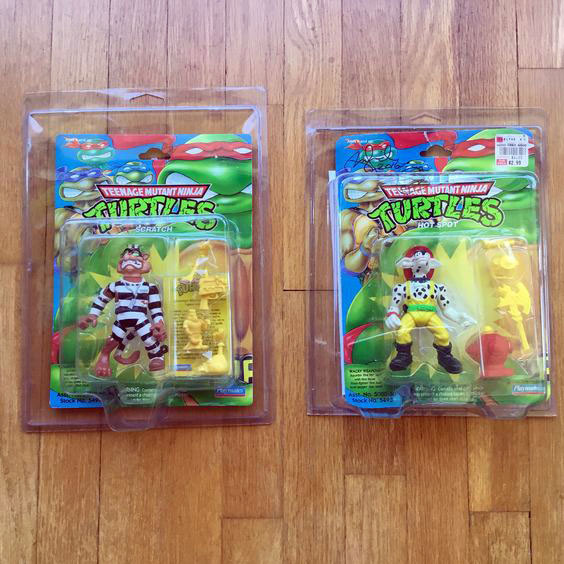 Unpunched carded figures w/ pop up displays $100 $125 $150 $200-$300 ea. Unpunched carded figures w/ cards are $100 $110 $125 $175-$600 ea. 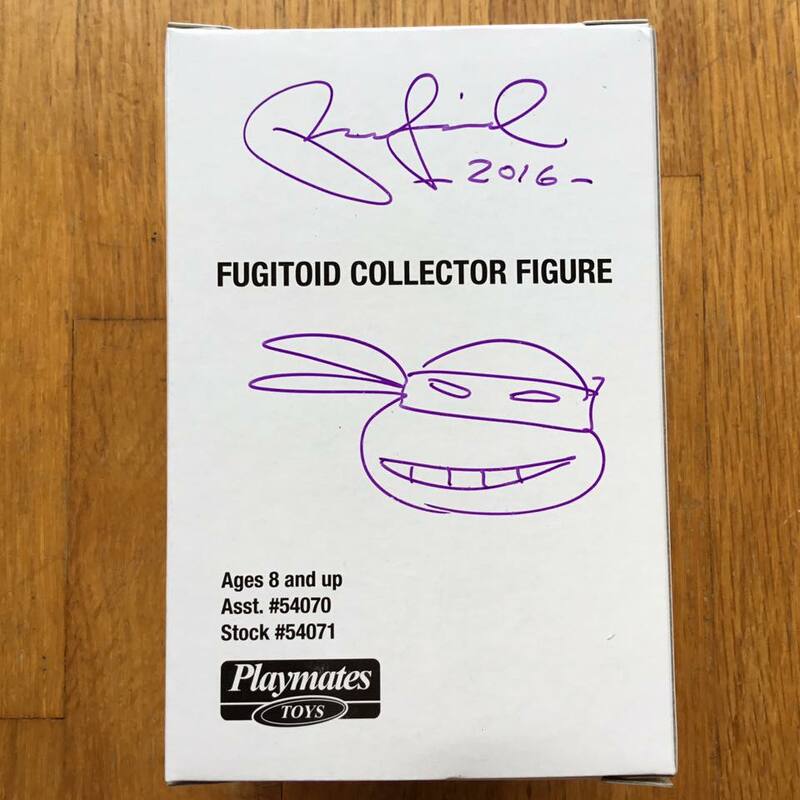 Unpunched carded figures w/ coins are $120 $130 $175 $200-$900 ea. Scratch the Cat MOC are $900-$1500 ea. Hot Spot MOC are $400-$650 ea. Shogun Triceraton MOC are $550-$850 ea. Shogun Shoate MOC are $250-$450 ea. 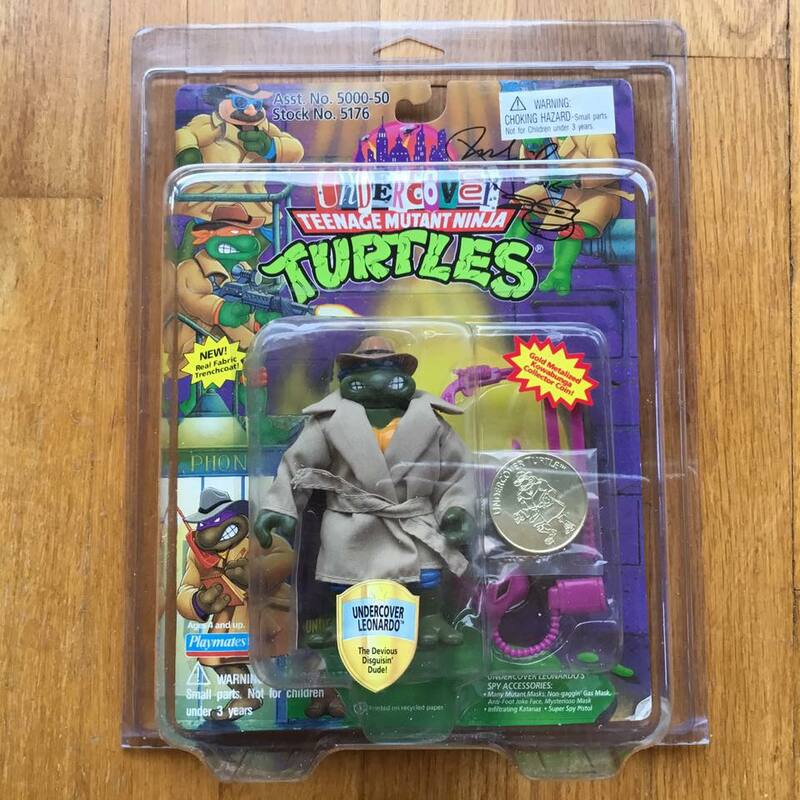 Undercover Turtles w/ Cloth Trenchcoats, Gold Coins are $1400 ea. 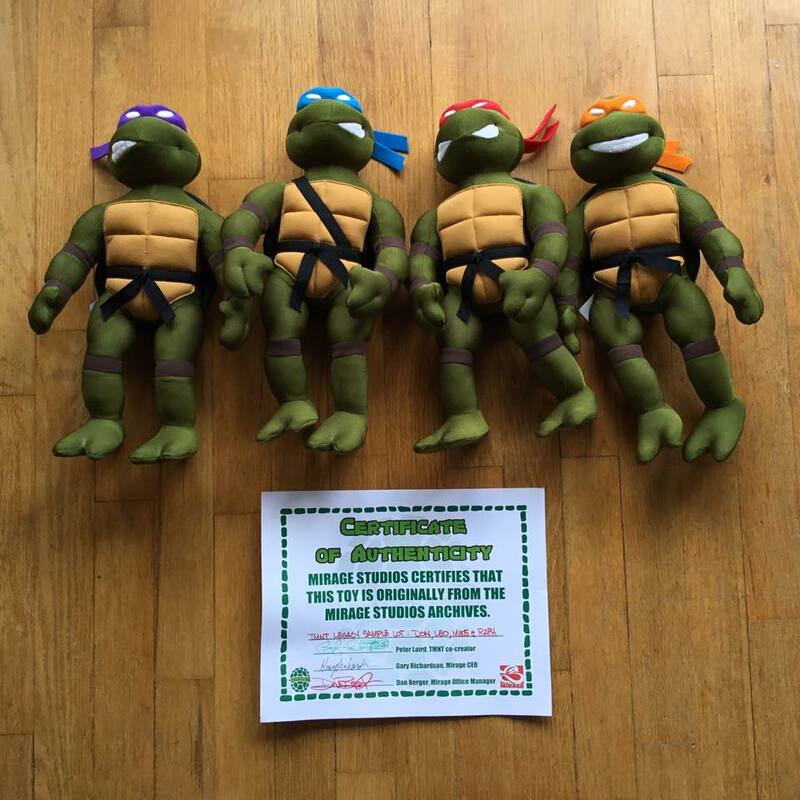 GIANT Turtles/Bad Guys are $250-$450 ea. 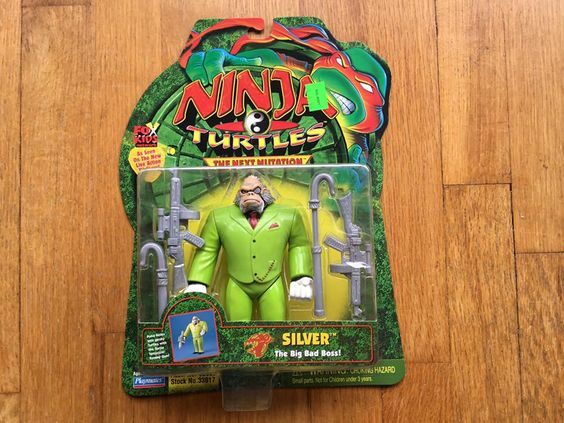 Dino TMNT from 1997 are $300-$500 ea. 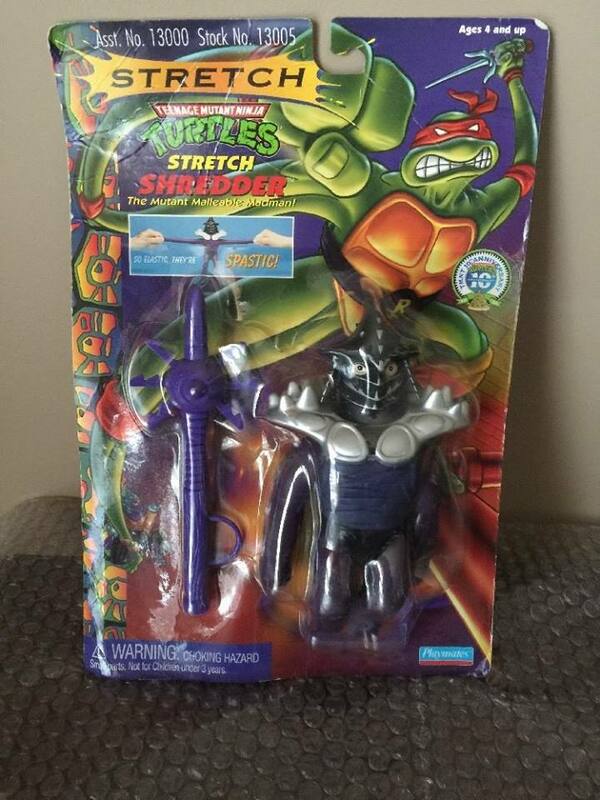 Stretch TMNT from 1996 are $100-$250 ea. 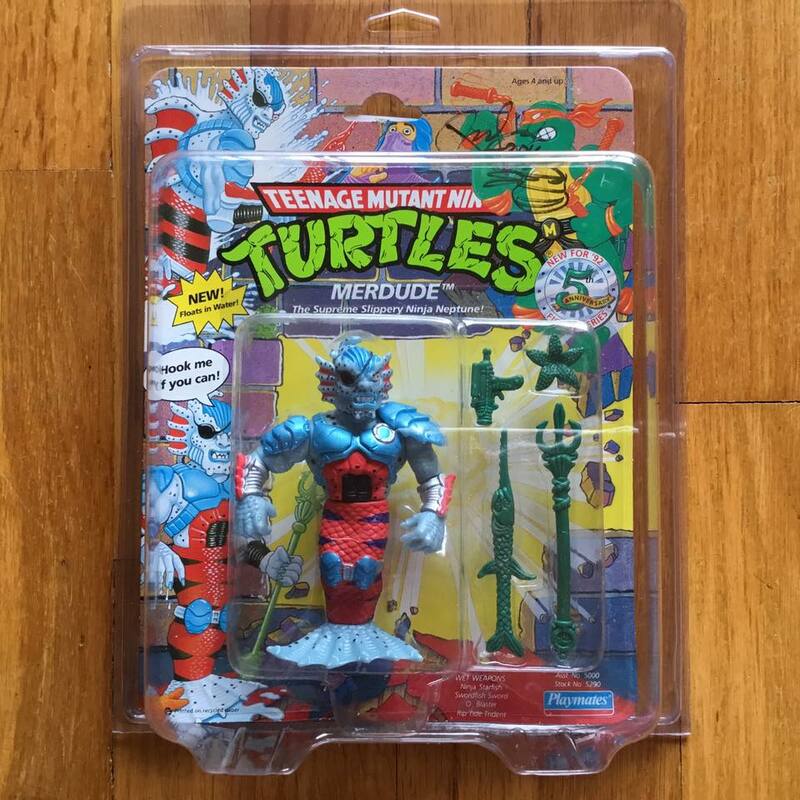 The Rarest Vintage Teenage Mutant Ninja Turtle TMNT 1988-1997 Action Figure Toy Checklist by Wave and by Rarity updated for 2019. 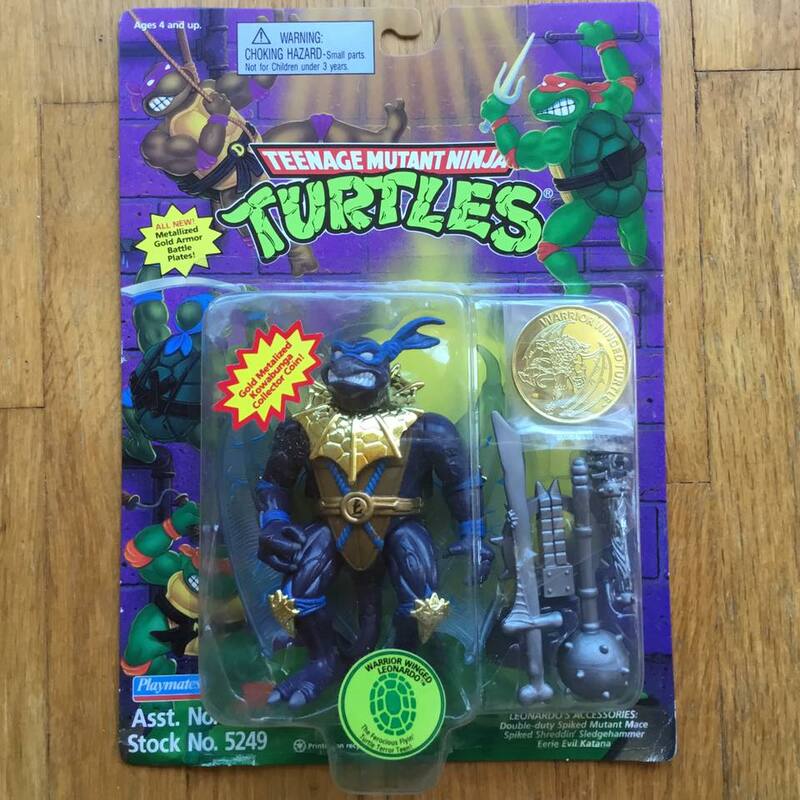 Action Figures with COLLECTOR CARD are more rare or gold COWABUNGA COIN are very rare. 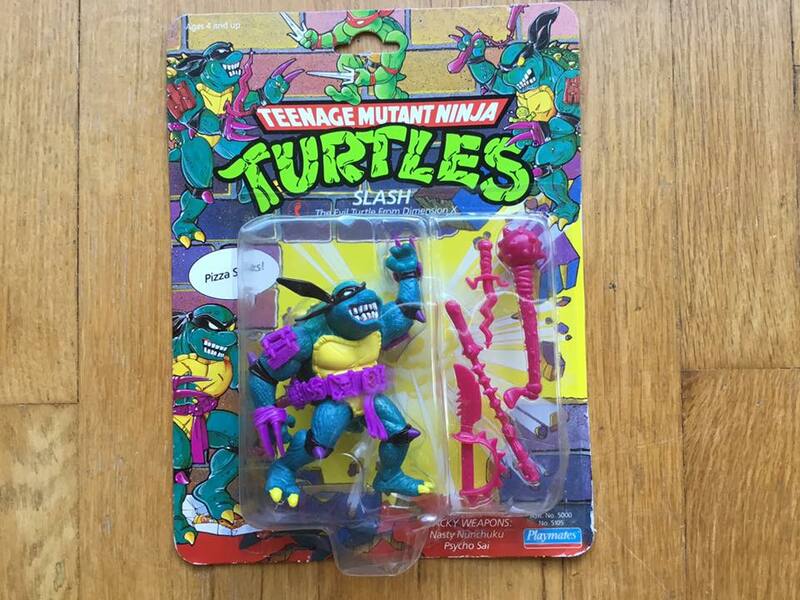 Most of my private collection of Teenage Mutant Ninja Turtles can be viewed on Pinterest here.